Hewlett-Packard has a worldwide reputation as a leader in the field of computers, printer, cameras and medical equipment, including their acclaimed line of ultrasound machines. 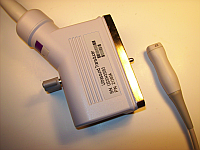 Whether you are looking to purchase a used HP ultrasound machine or just need probes, transducers or other parts for your current HP ultrasound system, UsedUltrasound.com has what you need at the lowest prices. 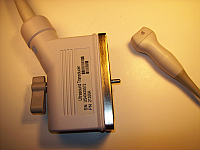 used ultrasound machines, but we also have a wide selection of used ultrasound probes, transducers, parts and supplies. You won’t find better quality used ultrasound parts anywhere, because all of ours are totally reconditioned and tested. 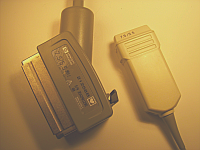 Plus we offer the lowest prices on used ultrasound transducers and probes along with a full guarantee that you will be happy with your purchase. 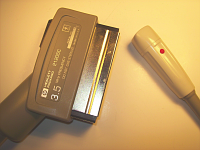 HP was one of the early pioneers of new technologies for ultrasound systems, and the company has a strong reputation for producing quality systems that are powerful, durable and reliable. And even though HP doesn’t produce as many different ultrasound models as some of the other manufacturers, the HP models are among the most versatile around, so they can tackle a variety of applications for you. 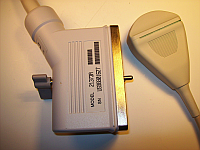 We carry pre-owned ultrasound probes and transducers for top selling HP models such as the HP Imagepoint/Imagepoint HX and HP Sonos 5500, plus we have a full line of ultrasound parts for models made by GE, Siemens, Sonosite, Toshiba and many others. 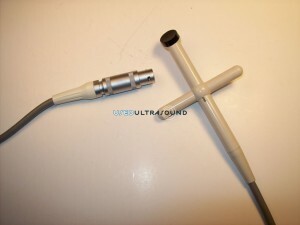 You just won’t find a better combination of selection, price and service than you will at UsedUltrasound.com. We are ready to help you with anything at all related to ultrasound equipment, from used machines and parts to ultrasound service contracts to probe and transducer repair. 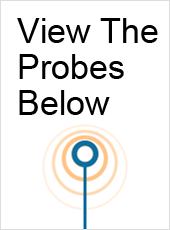 When it comes to ultrasound, UsedUltrasound.com has you covered.